If you need a mobility scooter to help you stay mobile and on the go, Scooter & Power Chair Solutions has just what you need. We offer residents in Palm Coast an excellent way to maintain their mobility and independence with a quality mobility scooter designed to meet your lifestyle. There are many types scooters on the market, so let us help you find the mobility scooter that best meets your specific needs. At Scooter & Power Chair Solutions, our caring staff is dedicated to helping you enjoy the indepence you want. Whether it's taking your dog for a romp in the park or it's enjoying an afternoon shopping with friends, when you have a reliable mobility scooter from Scooter & Power Chair Solutions, you won't have to worry about keeping up. 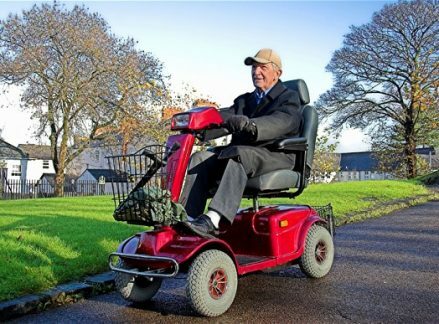 Many people in Palm Coast need some type of mobility solution to help them meet the challenges of getting around; fortunately, you have options, and these options ensure you get a dependable mobility scooter that will allow you to continue enjoying your freedom. If you're looking for the perfect solution to help stay mobile, we're here to help. At Scooter & Power Chair Solutions, we are the mobility scooter experts. We'll help you find the right solution to give you the freedom and flexibility that comes from being independent and mobile. Just because you need a mobility scooter doesn't mean that you're ready to slow down. Let us help you find the solution that best meets your needs.